Celebrate the ‘Luck of the Irish’ this weekend! From wearing green to sharing your shamrock collection, BHW is here to help you celebrate this St. Patrick’s day weekend. Check out some of these activities happening around your community. Celebrate St. Patrick’s Day at Pretend City! Make your way to Pretend City to celebrate with story time, art and fun activities! 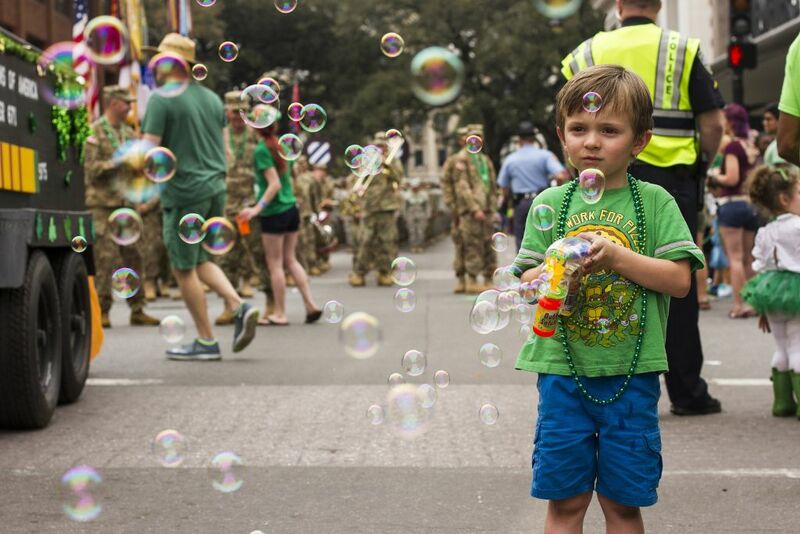 Wear your greenest outfit for their Irish heading home parade at the end of the day! It’s no emerald seaside but Hermosa Beach injects a bit of St. Paddy’s into this coastal city for their annual St. Patrick’s Day parade. Bagpipers, marching bands, cars decked out in green and festive pups from the Irish Setters Club of Southern California all make their way across the seven-block route. Come on out to Ontario and celebrate the Irish way! Wear green and learn more about fun Irish traditions. Come to the Bayview Shelter for an art activity. Light snacks and treats will be available for participants. Sponsored by San Mateo County Parks. The St. Patrick’s Day Family Fair & Medicaid Enrollment Event is free for the whole community. Anyone is welcome to attend! There will be door prize and games as well as food and drinks. The huge St. Patrick’s Day Parade in South Boston takes center stage on the Sunday and attracts up to one million spectators. You’ll enjoy the colorful floats, Irish and American pipe and drum bands, and enthusiastic crowds. Just be sure to wear green. Show off your Irish spirit this weekend and share your green pride! Behavioral Health Works is thrilled to be able to share this cultural holiday with you. Because together it’s possible.